Mohammed Zazi, the father of Najibullah Zazi (inset), has been indicted on charges of lying to authorities. His 24-year-old son is awaiting trial on charges of conspiracy to use weapons of mass destruction. The father of an Afghan immigrant accused of plotting a terror attack in New York City was indicted on a charge of lying to investigators, federal officials said Thursday. The U.S. Attorney's office in Denver announced that a grand jury returned the indictment against Mohammed Zazi for allegedly making a false statement in a matter involving terrorism. Zazi, 53, was arrested last month on that charge pending a grand jury indictment. U.S. Attorney's office spokesman Jeff Dorschner said the indictment doesn't change Zazi's bail status. Zazi, who was released on $50,000 bail and under electronic monitoring, was scheduled to appear in Denver federal court Friday. Zazi's son, Najibullah Zazi, was being held without bond in New York. He pleaded not guilty to a charge of conspiring to detonate explosives in the United States. The indictment alleges that Mohammed Zazi lied to FBI when they asked him if he had spoken to anyone about his son on the phone and whether he was in any trouble with authorities. Prosecutors say that Mohammed Zazi did speak to someone on or about Sept. 11 about his son and that at one point, Mohammed Zazi warned his son that he should hire an attorney. "What has happened? What have you guys done?" 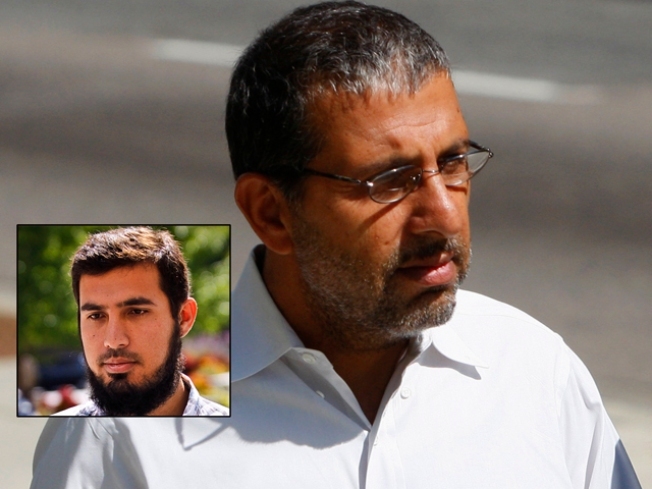 Mohammed Zazi asked his son, according to a criminal complaint. If convicted of lying to authorities, Mohammed Zazi faces a maximum of 8 years in prison. Federal authorities accuse the younger Zazi of trying to make a homemade explosives using ingredients from beauty supply stores in the Denver area. Authorities say the 24-year-old, who allegedly received terror training at an al-Qaida camp in Pakistan, was plotting an attack in New York City on Sept. 11.